On the eve of the Boston premiere of Kenneth Frazelle’s Songs in the Rearview Mirror, mezzo-soprano Kathryn Findlen offers a glimpse into bringing the composer’s score to life. Pianist Richard Masters joins Findlen on September 20 as part of the Isabella Stewart Gardner Museum’s Calderwood Concert Series. 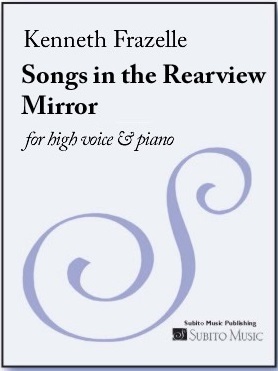 Songs in the Rearview Mirror premiered on May 5, 2010 at the Kennedy Center, performed by tenor Anthony Dean Griffey and pianist Warren Jones. The 40-minute, 10-movement song cycle features the composer’s own texts. Part road trip and part childhood reminiscence, Songs in the Rearview Mirror is an evocative and haunting musical portrait of Southern life and art. The song cycle grew out of Frazelle’s fascination with the memories captured by artists of Alabama’s Hale County, along with the noted prose and photographs depicted by James Agee and Walker Evans’ classic book “Let Us Now Praise Famous Men.” When Frazelle undertook his own journey in the artists’ footsteps, he not only found new sources of inspiration but unexpectedly unearthed many poignant, nostalgic and often turbulent memories from his own Southern childhood. 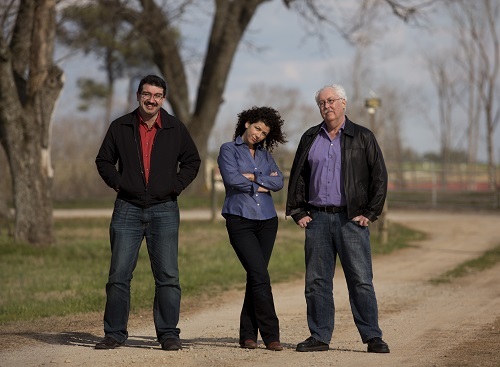 Songs in the Rearview Mirror features the composer’s unique synthesis of folk song and art song by taking listeners on a journey past abandoned barns, tangles of kudzu, bleak farmhouses and evangelizing road signs. The work’s songs are united by refreshing harmonies, coloristic piano-writing, and the undulating rhythm of the highway. Findlen — an avid Frazelle champion — has taken Songs in the Rearview Mirror and made it her own, offering several performances including the 2013 New York premiere at Carnegie Hall’s Weill Recital Hall. Findlen continues, “I am honored to perform in Boston at the Gardner Museum — it’s a supremely intimate and awe inspiring space. Since performing the New York premiere, my relationship with Ken Frazelle has continued to give me great inspiration. Ken has composed a new work which I’ll premiere entitled Songs of Clay and Stone about the Southwestern U.S. Hearing Ken sing the newly composed work this past summer — in a private performance for me — was one of the coolest things ever.” Songs of Clay and Stone receives its premiere in Spring 2016. Learn more about Kenneth Frazelle.